We stock a wide range of accessories and replacement parts for your vacuum cleaner including: floor tools, cables, replacement hoses, brushes, nozzles and replacement vacuum heads. 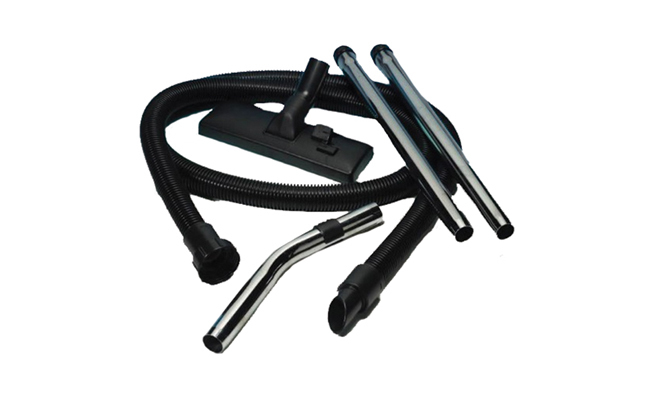 Each of these vacuum cleaner replacement parts and accessories are suitable for high quality vacuum cleaners from respected brands such as Numatic, Karcher and Taski. Maybe your commercial vacuum cleaner has broken or you have lost an attachment. Never fear, with our super fast next day delivery we can get you back up and vacuuming fast!! For commercial vacuums, spare parts and accessories browse Pattersons Cleaning Supplies. We stock a massive range of industrial vacuums as well as vacuum bags and parts. But we are not just a wholesale supplier of commercial cleaning products, we are also here on hand to offer help and guidance for any cleaning appliance question. Why not call our team of cleaning product experts on 0117 934 1270? Numatic ABS Crevice Tool - 305mm. Numatic Black Easy Ride Airo Brush. Numatic Round Dusting Brush - 65mm. Nuflex Threaded Hose - 6m.